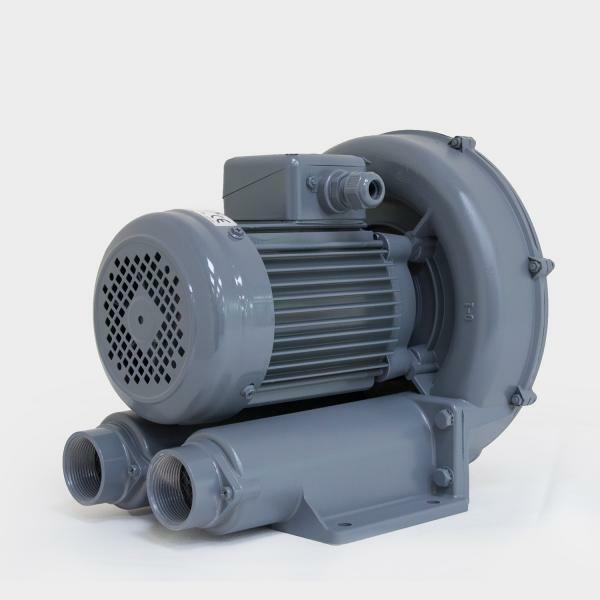 Side Channel Blowers - Ring Blowers(RB SERIES (50HZ)) - Chuan Fan Electric Co., Ltd.
Futural: Ring Blowers are designed with practical regenerative theory. Require no maintenance! No oily odor! Eternity life! Protects bearing from contaminated air stream and possible foreign particle damage. Directly connected motor shaft-impeller provides reliable, long term performance. No gears, belts, motor brushes or sliding blades to require periodic maintenance. Unique design results in substantial airflows at moderate pressures in minimum space and weight. Easily throttled and changed from pressure to suction operation. May be mounted in a variety of fashiond. Centrifugal compressor design delivers smooth, stable airflow with no pulsations. Produces continuous high-pressure airflow. The Ring Blower is ideally suited to many industrial applications. A policy of continuous improvement is followed, and the right to alter any published data without notice is reserved. He maximent permissible temperature and the gas temperature at the inlet is 40°C.